Just a few things to share this week. First off, Crafty Sisters made this adorable haunted village. Isn't that SO fun?!? 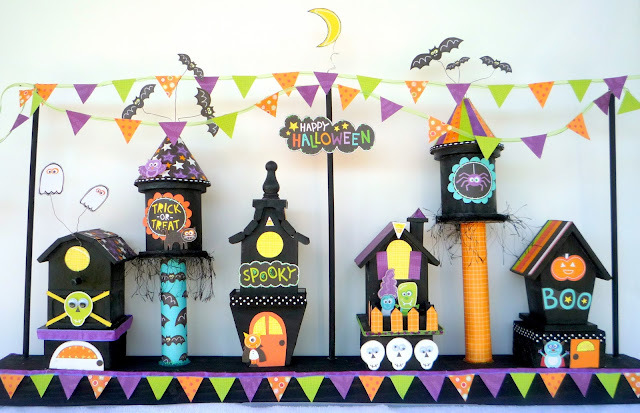 She used an assortment of bird houses from the craft store, painted them black and then embellished with Halloween scrapbook paper. I love this idea. While I may not make a whole village, I'm totally going to add at least one haunted house to my Halloween decor. I am Momma, Hear me Roar showed us how to make this adorable petal pillow. I think this is seriously amazing. Now I'm not much of a seamstress, but I want to attempt this pillow. It is just too pretty and would be a great addition to any bed. 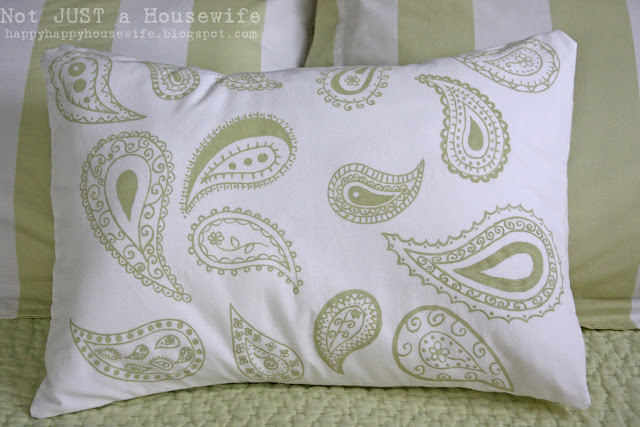 And speaking of pillows, look at this one made by Not Just a Housewife. She painted that fabric BY HAND! Amazing job! I totally feel her pain when it comes to trying to find the fabric that matches the image in my head, but next time I'll be brave and make my own like she did. Great Job! Well, that's all for now. The project I've been working on this week hasn't turned out like I envisioned so I'm off for round two. If you've been featured on this blog, you can grab a featured button on my sidebar.